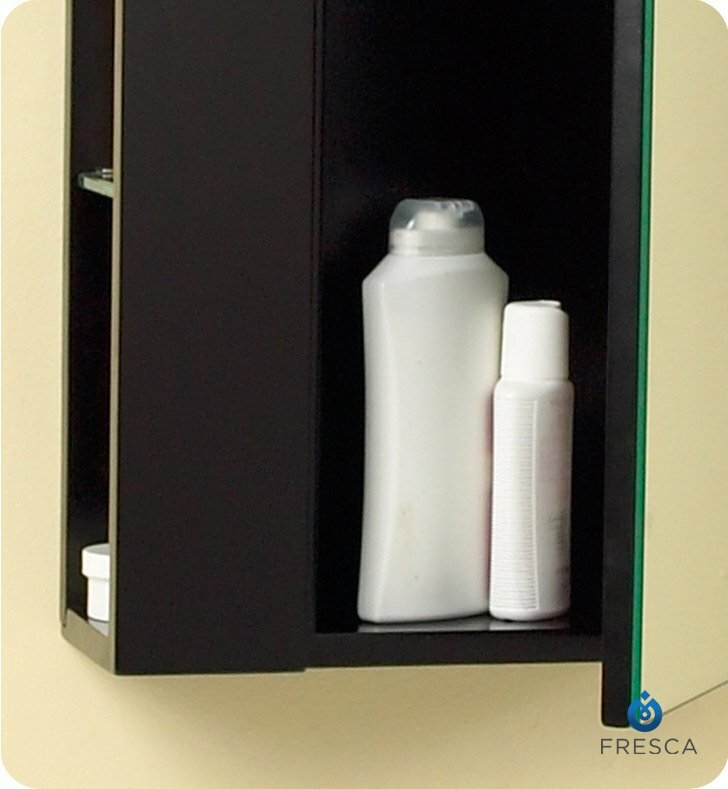 A clean, contemporary design combines with practical storage space in the Fresca Espresso Bathroom Side Cabinet, model FST1024ES. 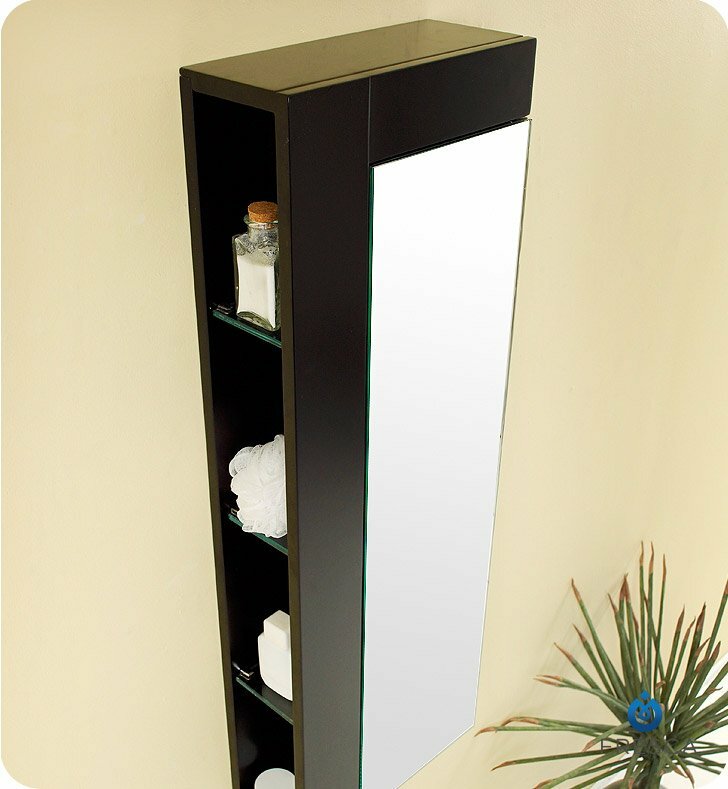 This sturdy cabinet features one closing door with a large mirror and four exposed shelves on the side, with plenty of room for towels, soaps, creams and lotions. 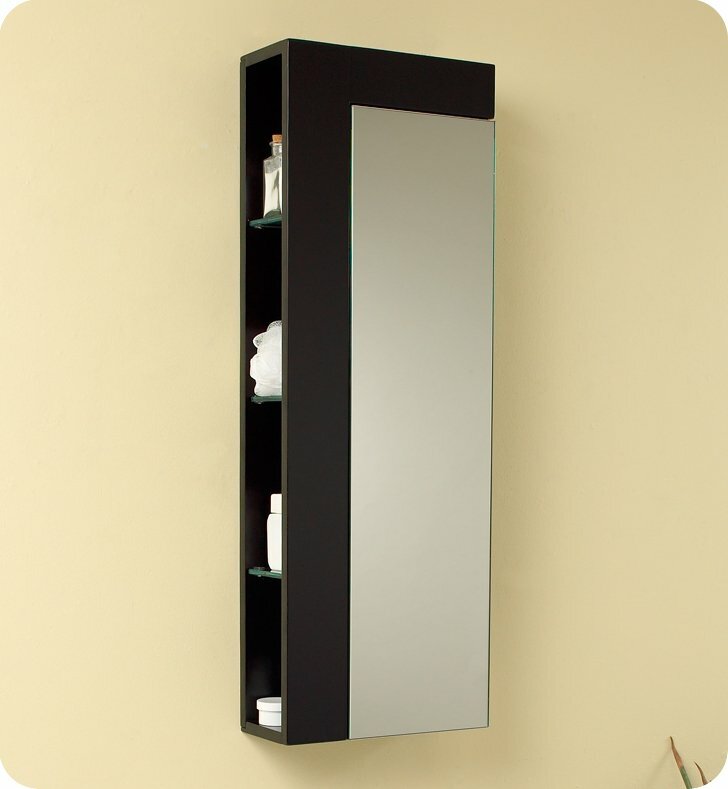 This wall mounted W 13 3/4" x D 5 7/8" x H 39 3/8" bathroom side cabinet is elegant enough for a guest bath or bedroom. 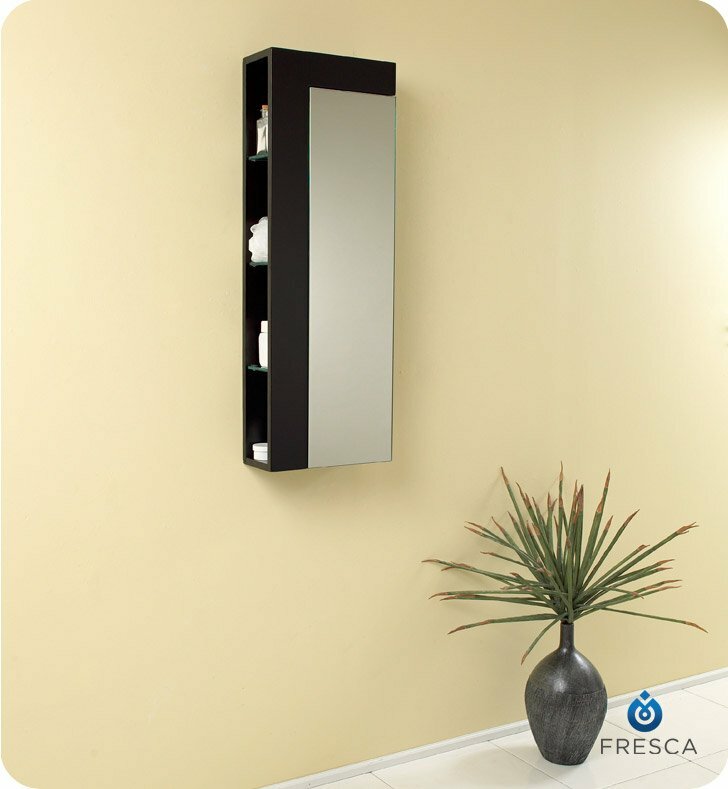 The dark espresso finish complements any decor. Dimensions: W 13 3/4" x D 5 7/8" x H 39 3/8"
Quality construction. Heavy to lift into place but straightforward installation for two people. Great packaging and comes fully assembled. Fits great over toilet and does not extend far into room. 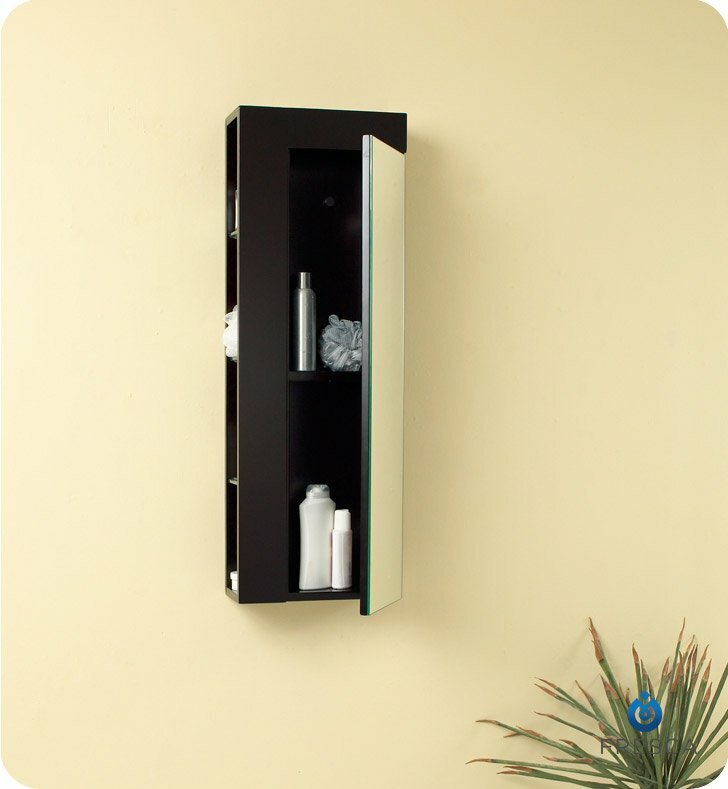 Cabinet adds decor, and function in a small compact space.Open shelves hide the depth, and reduces the profile in any tight space.